Instantly identify dangerous food additives and cosmetics ingredients with ease. 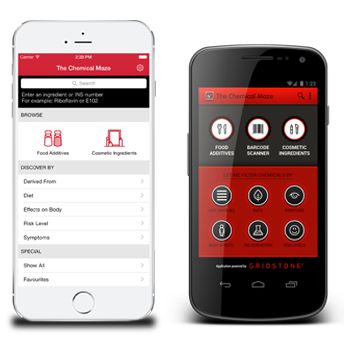 The Skin Conditions Maze App was written to make it simpler and easier to recognize food additives and cosmetic ingredients having the potential to trigger kin problems. With this recognition comes freedom of choice and for many a new lease on life. Can food additives cause skin problems such as Acne? The root of most modern skin problems is food. We eat too many processed foods and food additives that our bodies are not equipped to handle. Some of us may be able to get away with eating these foods, but make no mistake. Just because you don’t see it in the mirror or feel different doesn’t mean these foods aren’t hurting you. The effects aren’t always immediate – some food additives build up over time, something you eat today may not effect you for a few days. Food allergies are the number one cause of acne? Eating a food containing certain food additives to which the body is allergic leads to a continuous toxic reaction. In such a case the immune system fights the food as if it were an invading organism. This can cause inflammation in the skin (and many other conditions), as well as the need to eliminate the toxin. 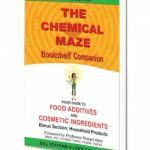 I was blessed to come across The Chemical Maze as a teenager and have always bought the updated editions of the book. Bill?s knowledge is incredible and I respect him, his work and his commitment to making a difference to others. 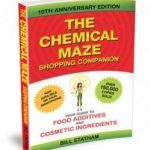 This App includes all Food Additives and Cosmetic Ingredients that can trigger Skin Conditions based on the international best selling researcher & author Bill Statham. My son has eczema; it runs in both sides of the family. He was also born 12 weeks premature. He never really developed it until he was about 12 months, but when it came it was getting out of control. I tried everything, but knew nothing about food additives, preservatives and colours.